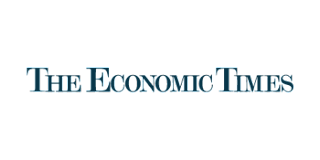 The following article originally appeared in The Economic Times on 9 September 2018. Less than three months ago, after the second postponement of the inaugural 2+2 dialogue between the foreign and defence ministers of India and the United States, several strategic commentators in India decried the “deepening disconnect” in the India-US relationship. Some articles declared that enhanced ties between the two countries were failing to take off, and that the two were no longer seeing eye-toeye. Many others perceived the thaw in India-China relations encapsulated in this year’s summit between Prime Minister Narendra Modi and Chinese President Xi Jinping as indicative of a reversal in India’s deepening strategic coordination with the US and others. However, the past few months have witnessed some rather clear trends. India has attempted to shore up relations with Russia, in part out of concern about the direction of Moscow-Beijing relations. Strategic coordination with Japan has continued, with a logistics agreement reportedly under negotiations and breakthrough ground and air exercises now being considered. India’s defence ties with Australia, Indonesia, Singapore, Malaysia, and Vietnam have intensified, manifested in new exercises, training efforts and exchanges. A quadrilateral dialogue involving India, the US, Japan and Australia took place for the second time in two years. And over the past 12 months, India has signed new agreements for port access and logistic support with the likes of France, Oman, Singapore and Indonesia, giving the Indian Navy far greater operational reach in the Indian Ocean. But the most significant strategic developments during this period have concerned India’s ties with the US. Defence relations have been upgraded now to a 2+2 dialogue — the highest level of institutionalised security engagement between the two countries ever — and a number of advancements have taken place in terms of security cooperation. The outcomes of the inaugural 2+2 Dialogue — which finally took place when US Secretary of State Mike Pompeo and Secretary of Defence James Mattis visited New Delhi past week — was largely predictable and included few surprises. A secure communications agreement known as COMCASA was signed, having been under negotiation for several years, meaning that the two militaries no longer have to communicate over WhatsApp. Tri-service military exercises, which have been under discussion for months, were agreed. These would mark only the second such joint exercises for India after one with Russia. Steps have also been announced to improve India’s coordination with US Central Command — particularly on maritime matters —and liaising with the US defence innovation ecosystem, addressing two of the better-known weaknesses in the relationship. The two sides agreed to common language on the Indo-Pacific, Afghanistan and North Korea, among other matters, reflecting greater alignment in strategic worldviews. And of considerable significance, India and the US identified several steps to further deepen cooperation on counterterrorism. That these developments are so much at odds with Indian strategic commentary reflects the growing disparity between Indian policymakers and the analytical community. The latter has inherited a legacy of insecurity and is deeply wedded to a strategic outlook that veers away from circumstances facing India today. Despite the uncertainty of Donald Trump’s presidency in the United States, the steady improvement in bilateral ties with India suggests greater clarity and less hesitation on India’s part even as it reflects broad support for strategic engagement with India in the United States. Of course, important differences remain, both on bilateral issues such as trade and immigration, and strategic perspectives on Russia, Iran, and Pakistan. This is only natural given the different geographies, histories and priorities of the two countries. But it is also increasingly clear that India and the US are willing to find ways to mitigate those differences. Indeed, in New Delhi, Mattis and Pompeo demonstrated an eagerness to work with India to the extent possible to reach certain outcomes on Russia and Iran. The fact that the 2+2 Dialogue finally materialised and included some noticeable deliverables, in contrast to the dire circumstances in which India-US relations are regularly characterised, requires a stark assessment of where India lies in the US political landscape. On the plus side, India is neither a primary target of US antagonism, unlike Russia, China, Iran, or North Korea, nor is it a politically problematic ally like Germany or Mexico that has been in the cross-hairs of the Trump Administration. Despite occasionally sharp differences, India simply does not colour US political considerations to quite the same degree. At the same time, the fact that India is often important but rarely urgent means that — as with past US administrations — it does not always receive top priority. That Pompeo should have prioritised a visit to North Korea over a 2+2 Dialogue was regrettable but also a realistic reflections of the Trump Administration’s priorities. As India and the United States attempt to build upon the inaugural 2+2 Dialogue, Indian observers would do well to keep these realities in mind.